A recent statistic shows Nevada ranks among the top 10 worst states for pedestrian fatalities. Special to the Pahrump Valley Times Beginning today through March 31, the Nye County Sheriff’s Office will be joining forces with additional law enforcement agencies statewide, to issue citations to both drivers and pedestrians for breaking the law. According to the Nevada Department of Public Safety, pedestrian safety is the responsibility of both the pedestrian and the driver. 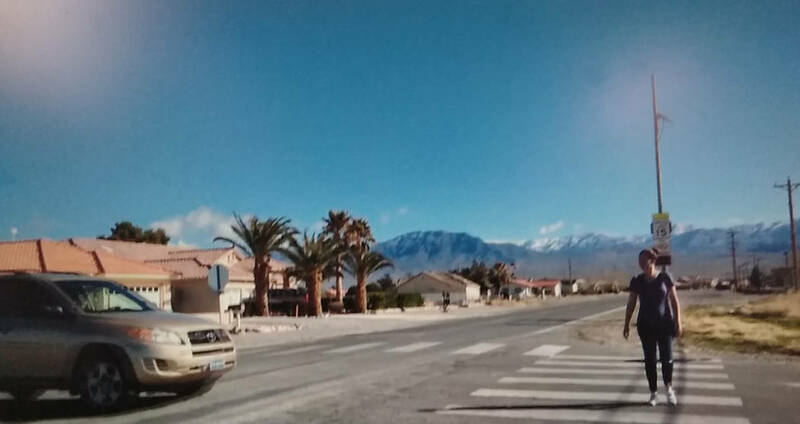 As such, between March 15 and March 31, the Nye County Sheriff’s Office will be joining forces with additional law enforcement agencies statewide, to issue citations to both drivers and pedestrians for breaking the law, according to a news release. The release went on to state that drivers must yield to pedestrians and avoid passing vehicles which have stopped for pedestrians. According to the Nevada Department of Public Safety social media page, pedestrian safety is the responsibility of both the pedestrian and the driver, as the majority of pedestrian fatalities and injuries occur between intersections. Additionally, officials said pedestrians may think they own the crosswalk, but they should still look for cars first. For more information about the law and pedestrian safety visit zerofatalities.nv.com/be-pedestrian-safe.